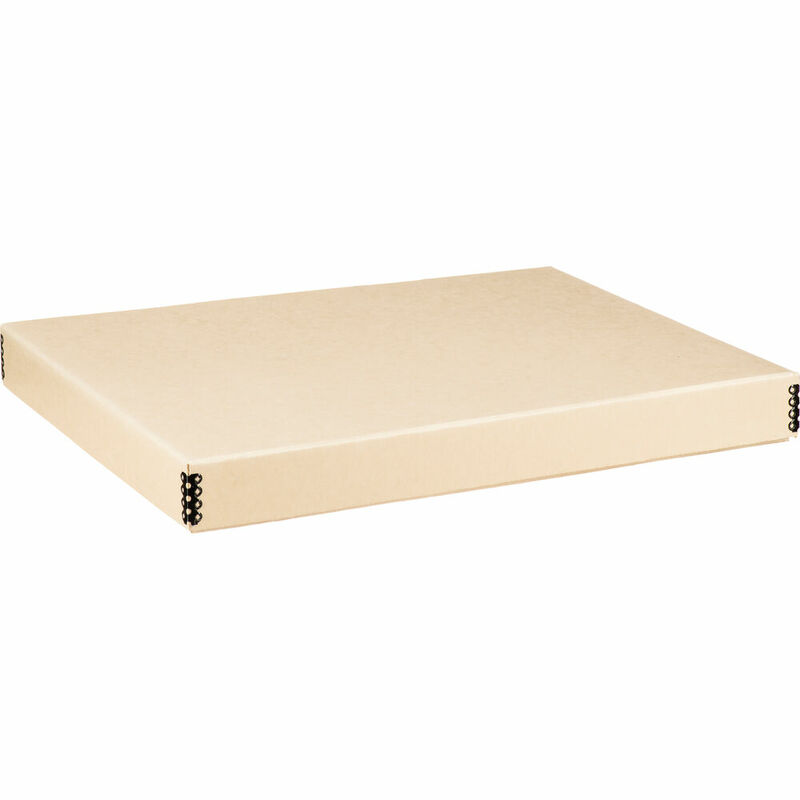 With rectangular dimensions of 11.5 by 14.5" and a depth of 1.5", this tan Drop-Front Metal Edge Archival Storage Box from Print File can hold up to 21 2/2 ply prints inside. Its two front corners are reinforced with black metal edges, which prevent the pack from being crushed if you decide to stack several boxes on top of one another. Removing the lid allows the front edge to drop, allowing for easy insertion or removal of contents. Box Dimensions (LxWxH) 14.95 x 12.1 x 1.7"
11.5 x 14.5 x 1.5" Drop-Front Metal Edge Archival Storage Box (Tan) is rated 5.0 out of 5 by 1. Rated 5 out of 5 by Jeffrey from WOW! Its Black!! These are swell black boxes to store your valuable prints in. It has a hinge on the side so you can open and shut it all day if you wish. They seem to be well constructed, but I doubt I will wear them out. I plan on ordering other sizes as well, but, the price is a bit high for what they are. I guess everybody needs to earn a living. Highly recommended!